How Long Should You Wait For An Order Or Refund? Whoever said “better late than never” probably never ordered something online and waited weeks – even months – for the product to arrive. And naturally, the consumer's credit card was charged the day the order was placed. A case in point – Lu, of Lower Burrell, Pa., who says she placed an order with PlanetRX back in October. According to the Federal Trade Commission (FTC), that's way too long. 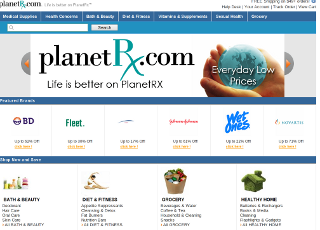 PlanetRX and other online merchants are governed by the Mail or Telephone Order Merchandise Rule. The Rule spells out the ground rules for making promises about shipments, notifying consumers about unexpected delays, and refunding consumers' money. Enforced by the FTC, the Mail or Telephone Order Rule applies to orders placed by phone, fax or the Internet. In Lu's case, PlanetRX should have sent a refund with the cancellation of the order. “If the customer doesn't give you his okay, you must promptly refund all the money the customer paid you without being asked by the customer,” the Rule states. The rule does not define “prompt,” but most reasonable people would probably agree it's not four months.